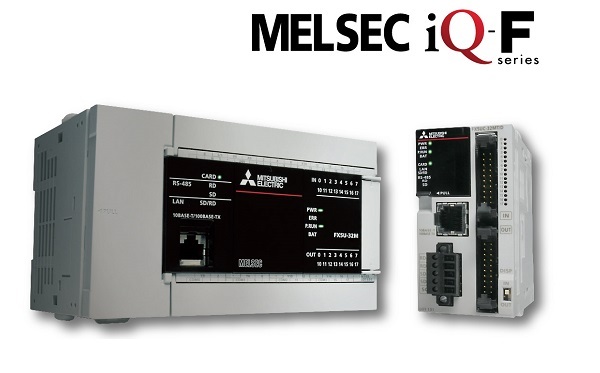 Mitsubishi MELSEC-F Series has now been reborn as the MELSEC iQ-F Series, offering enhanced high speed bus, expanded built-in functions, advanced SSCNETIII/H support and improved engineering environment. Program and parameters are set with the GXWorks3 engineering software. In the Mitsubishi MELSEC iQ-F Series, the FX5U model provides a cost effective solution that boasts ease of use, functionality and high performance in a small panel footprint. 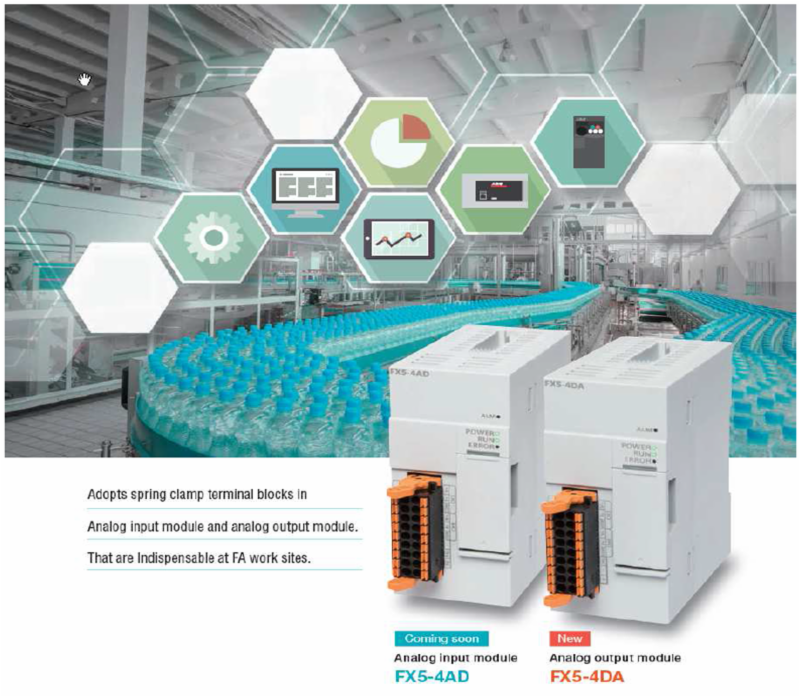 The FX5U and FX5UC controllers enable faster decision making with access to real time data and improved accuracy and throughput, ideal for small to medium machines. They are key also to a more profitable manufacturing environment. Mitsubishi MELSEC iQ-F Series can easily be configured using GX Works3. Programming languages are supported and can even be used in the same project at the same time allowing the user to program in the most efficient manner for their application. Using the Simple Motion module, GX Works3 eliminates the need for additional software. Click here for a brochure or get in contact for a quotation or further details.